A Live Music Thursday welcome to Tim Gysin who will tickle the ivories through decades of songs! 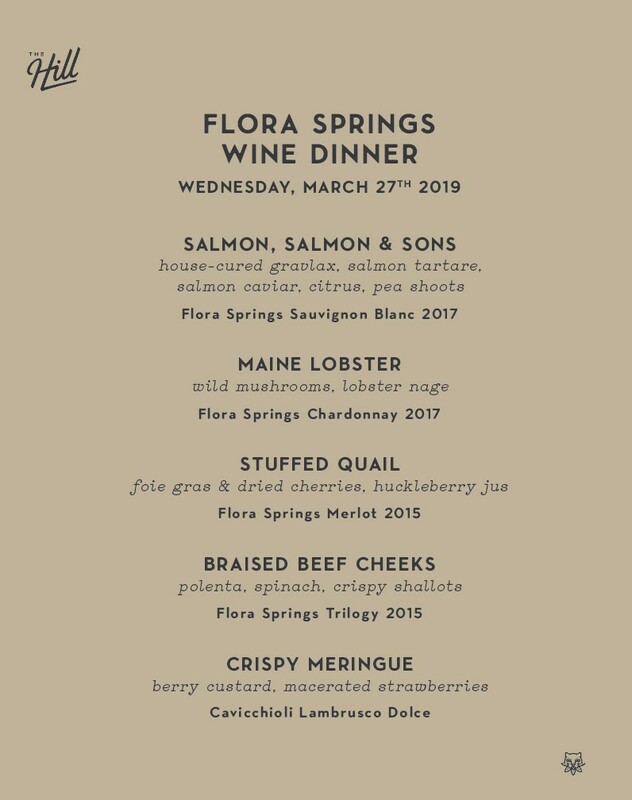 This is a special event as winemaker Ted Henry himself will share a meal with us and offer insights as to the past, present and future of Napa Valley wines. I am humbled to have the opportunity to pour a unique vintage, the 1998 Clos du Val Cabernet from the famed Georges III Beckstoffer Vineyard. To further entice you, I can tell you that it will be poured from magnum, an even more unique find. This is a ticketed event at $195 per person inclusive of gratuity and tax. I guarantee a remarkable experience. Retail wine orders will be taken at the dinner. A Live Music Thursday welcome to the soulful sounds of Nik Rael! Continuing to bring the rock n’ roll with their residency for Thursday Live Music, we welcome back The Great Fraud! Bringing back their eclectic and electric sounds, Bobbie and STATiC continue their residency with us for Live Music Thursdays. Thursday Live Music welcomes the debut of Richie G with his piano, vocals and harmony! Debuting his piano driven pop sound, we welcome Evan Toth to Live Music Thursday. The Hill welcomes the Annie Mash duo who’s first Live Music Thursday promises sounds of the 60s through the 90s! Back for more beats and moods, Bobbie and STATiC continue their residency with us for Live Music Thursdays. Continuing their residency for Thursday Live Music, we welcome back the rock n’ roll sounds of The Great Fraud! We welcome the eclectic high powered blues, funk, rock, country of the Doc Lane Band! Making their debut with us and playing hits from the 60s, 70s, 80s, and more! STATiC continues his residency for Live Music Thursday! The Great Fraud continue their residency for Live Music Thursdays!